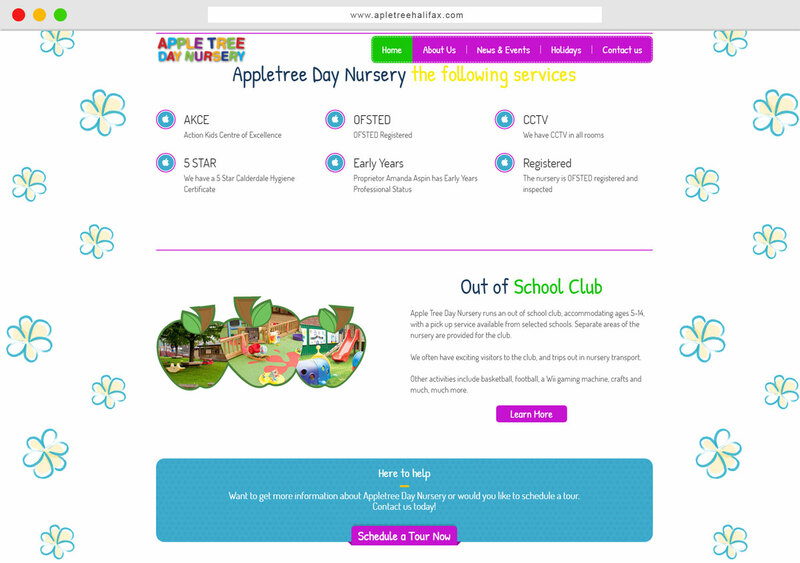 Apple Tree Day Nursery is a purpose built single-storey building, with a large, varied, outdoor play space including a separate baby area. 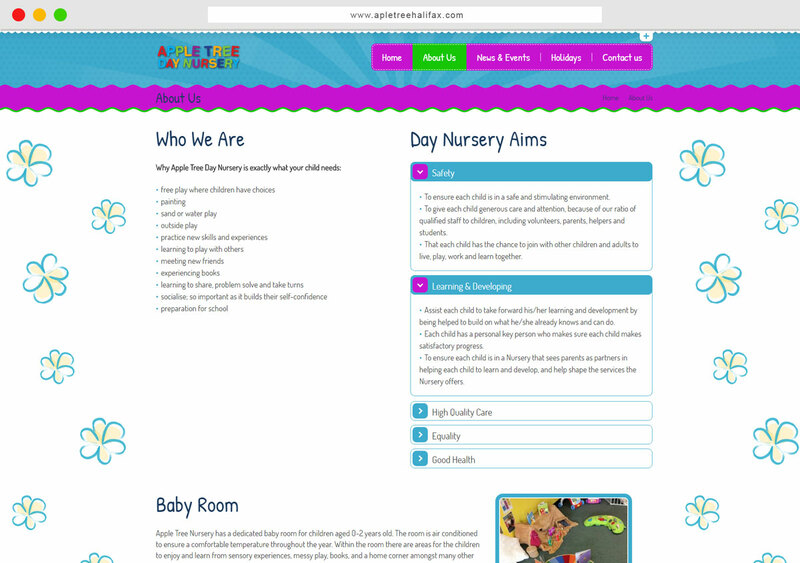 The nursery includes a recently refurbished, air-conditioned, dedicated baby room for 0-2 years, with a relaxing sensory area. 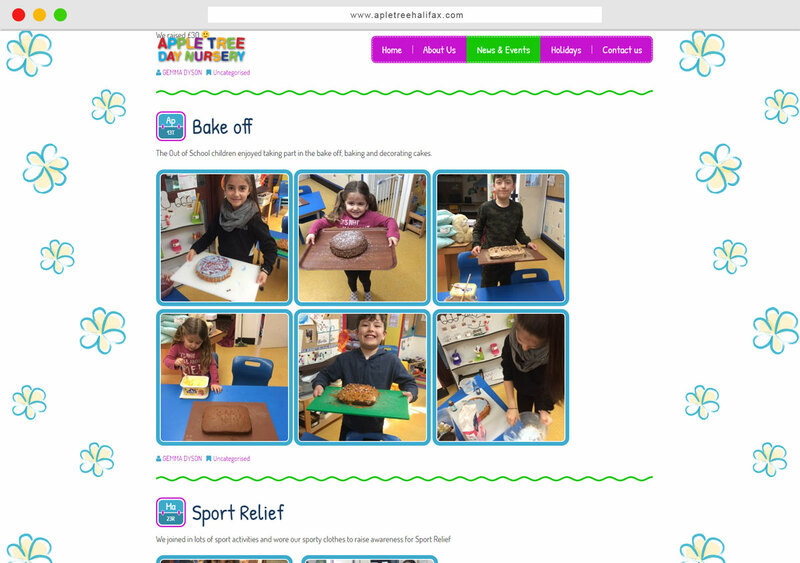 They have a large open-plan toddler / pre-school room with a wealth of activities, following the Early Years Foundation Stage. The nursery is family orientated to ensure all children feel secure and happy, enabling them to develop to their full potential. 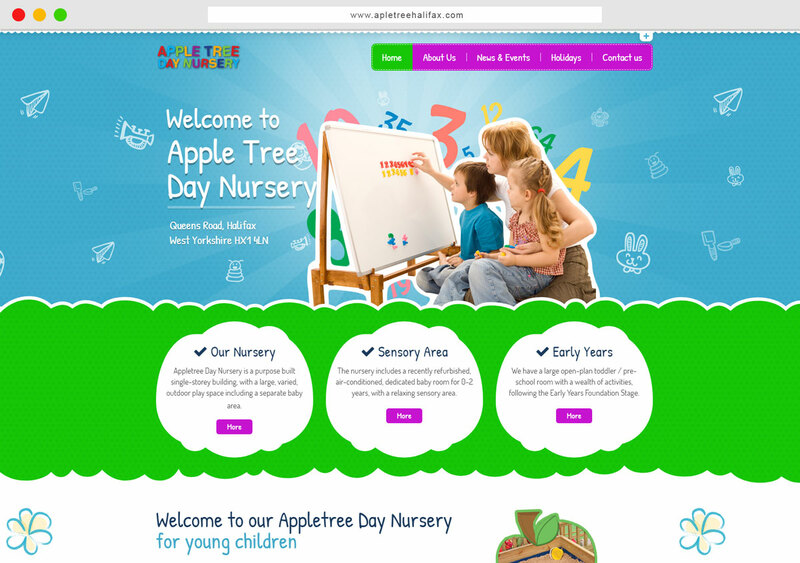 The animated child-like style theme of the website makes Apple Tree Day Nursery a friendly and inviting place.